A review of the week's cultural highlights with Tom Sutcliffe, including the view from the Shard, Les Miserables on the big screen and Utopia on Channel 4. 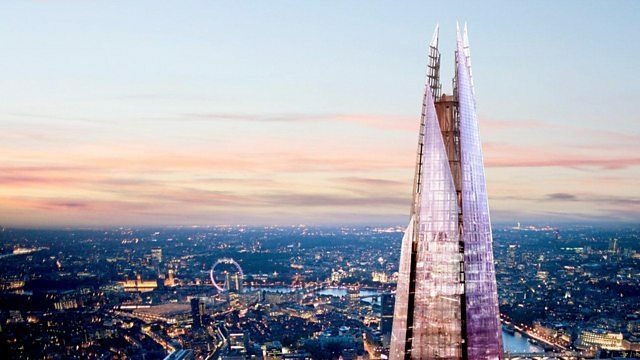 As The View from The Shard is about to open to the public, reviewers Philip Hensher, Louise Doughty and Pat Kane ask why we feel the need to build - and go - high. Les Miserables moves from the stage to the big screen in Tom Hooper's new film, famously asking of its stellar cast including Hugh Jackman, Russell Crowe and Anne Hathaway that they sing live on set - has the decision paid off? In the Old Vic tunnels under Waterloo Station, the actress Fiona Shaw and dancer Daniel Hay-Gordon perform The Rime of the Ancient Mariner. There are literary tricks and questions about identity in First Novel by Nicholas Royle (it's not his first novel, for starters). And Dennis Kelly, one of the writers of the musical Matilda, has created a new drama for Channel 4, Utopia. Does its blend of mystery, suspense, humour and violence come off? Presented by Tom Sutcliffe. Producer: Sarah Johnson. What kind of experience they will get, as the "The View"..
Tom Sutcliffe and guests visit The Shard in South London.